This was our second trip to Orlando in less than two years. The plan was to visit some different attractions this time around because there is so much to do there you could never fit it all in. Well, that was my plan. 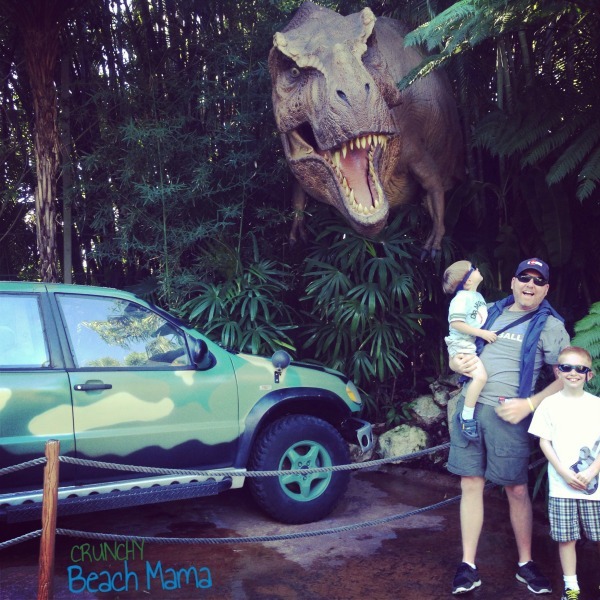 Hubby said we must go back to Universal Studios…so we did! This time though we visited both of their parks. Islands of Adventure and their original Universal Studios Florida which I haven’t visited since I was a kid and boy has it changed. They both have their areas of fun! Then we wrapped around to Jurassic Park where Uncle gave P’Diddy the scare of the day. He thought he was going to get fed to dinosaurs! GRRRR! 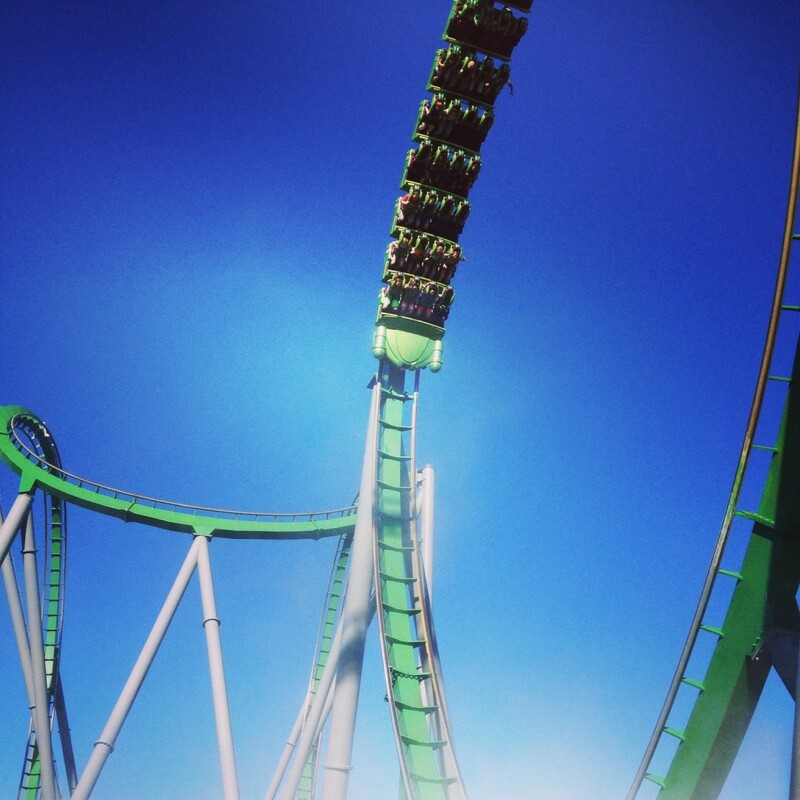 Now here is the #1 reason you want to visit Island of Adventure. I tell everyone that it is the best attraction in all of Orlando. The Wizarding World of Harry Potter. You MUST go if you are an avid Harry Potter fan. 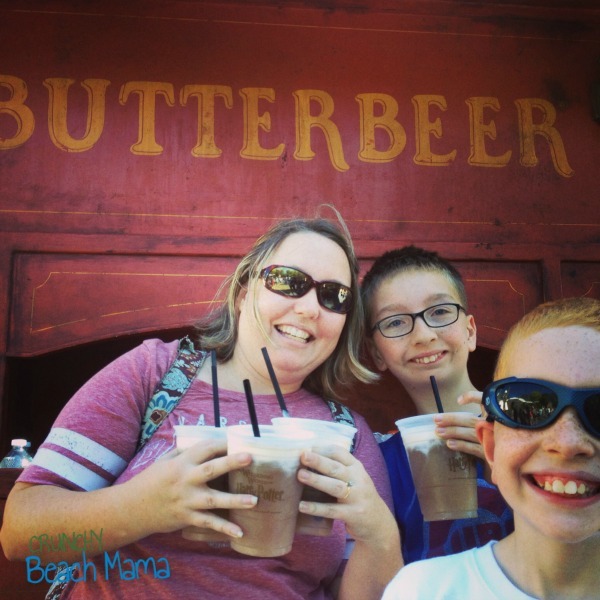 You’ll stroll through Hogsmeade for some Butter Beer (super duper yum! ), buy a wand at Ollivanders and go up to the castle for the best ride at the park. The only teeny tiny downside to Universal Studios is that it is not a little kid park. BUT I’ll tell you about this new idea that is totally awesome. I say ‘new’ but not really sure how long it has been there. We didn’t know about it the last time we were there, but could have just not known. It’s called Kid Swap. You wait in line as a family and then when it is your turn half your party can ride while the other parent waits with the little one, then you switch…and you don’t have to wait in line all over again. It’s cool. 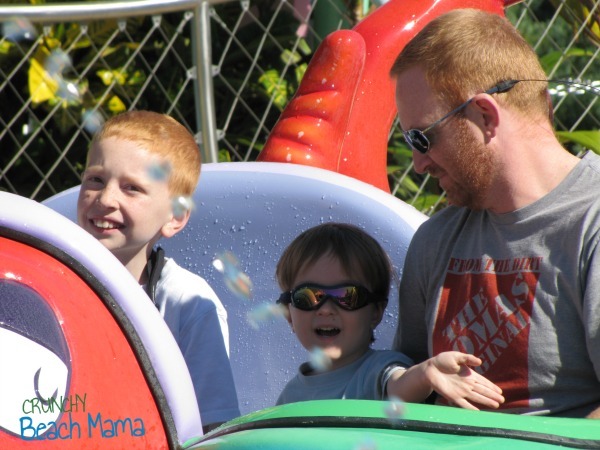 Islands of Adventure did have one section P’Diddy loved…Dr Suess. He even got a little wet on One Fish Two Fish! After lunch we headed over to the Universal Studios Florida side. My brother and I couldn’t wait to go on ET the ride. Memories from childhood. 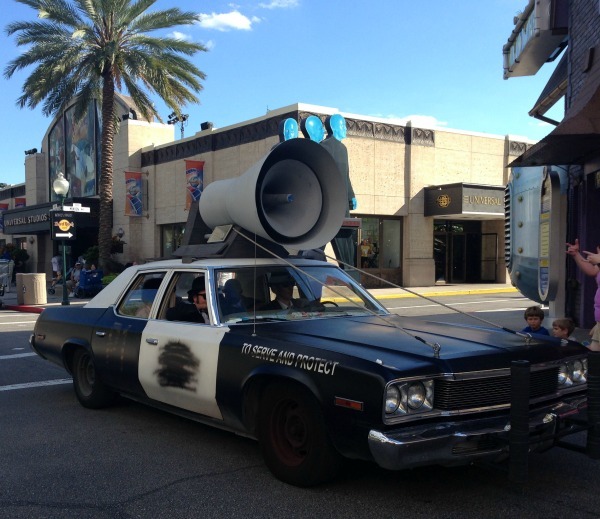 The best memory of the day though was when the Blues Brothers car came down the road. I still remember standing and watching them perform the same act when I was a kid. My dad loved them. 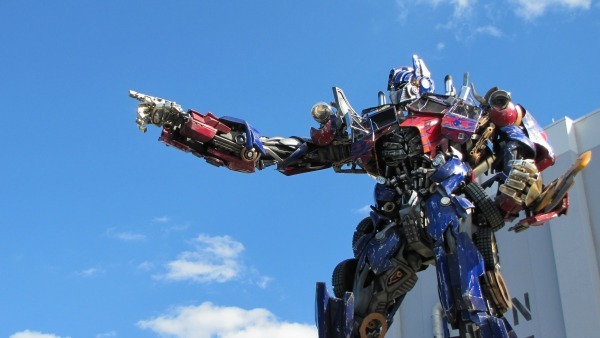 And everyone had to test out the theme parks newest ride – Transformers. This giant guy was live and taking pictures with the kids. So cool! Do you know what one of the best parts of our day was? Walking past everyone in line because we had an Express Pass. We are now completely spoiled and don’t think we can ever visit a large amusement park again without one. Wow they are time savers. There is soooo much to fit in, in just one short day that I’m not sure you could without one. Thank you Universal Studios Orlando for one of the best days my family has ever spent together. The memories for a lifetime! 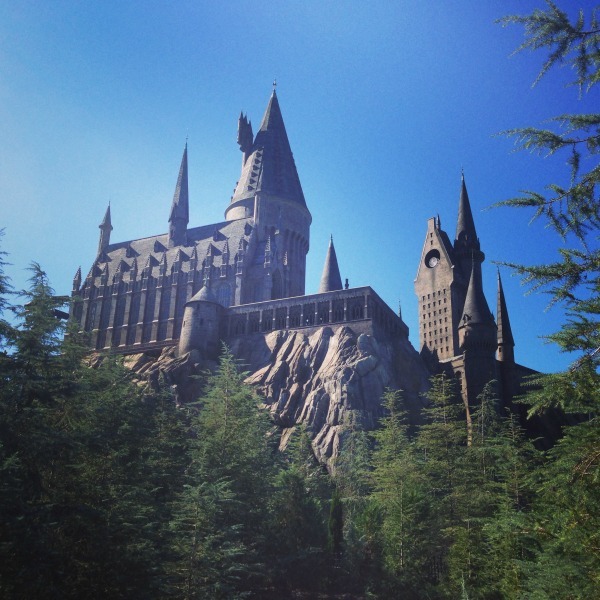 Have you been to Universal Studios Orlando before? Now read what we did that night at the park ~ Blue Man Group! You’ll love it! I partnered with Universal Studios on my trip. All opinions are my own. Sign up for Free Trial at Kidoodle.TV and Win! I have never been to any of the Universal theme parks. I declare that my parents FAILED in their rearing of me! Looks like a great time was had by all. I have heard the Harry Potter attraction is a must even if you're a slight fan. I've never been to Universal but it's on the list when my daughter gets a bit older.